Is San Onofre Nuclear Generating Station at a tipping point? At the end of August 2009, Southern California Edison, the owner/operator of San Onofre Nuclear Generating Station, suddenly -- and as quietly as possible --- replaced about 70% of their work force: All the main contractors and their subcontractors. They kept themselves, though -- minus quite a few "early retirements." This happened in the midst of growing concerns about shortages of trained personnel in the nuclear industry due to the combined stresses of an aging workforce and so few new recruits (there are far more enjoyable -- and profitable -- things for smart young people to do these days). And it happened in the midst of enormous and difficult repairs and replacements of embrittled and leaking parts, due to the combined stresses of more rapid degradation than expected and longer permitted running times than the utility had hoped for in their wildest dreams when they built the plant. Some of the people who lost their jobs had been working at the plant for decades. They knew the place inside and out. They knew how to falsify documents. They knew how to sleep on the job and get away with it. They knew how to claim a weld was done correctly when it wasn't. They knew what the regulators would look for -- and what they wouldn't. These guys really knew the plant well. SCE got rid of them all, because SCE's management needed to show the Nuclear Regulatory Commission that they were doing SOMETHING to fix their "culture of cover-up." It had already been established that there was, indeed, such a culture at the plant. But subsequent testimony from whistleblowers makes it clear that the culture of cover-up remains, even if many of the faces involved have been changed (URLS to You-Tube videos are included below). San Onofre has had a lot of friends over the years -- people on the outside who denigrate anyone who speaks out against the plant. Some of these people even have degrees in nuclear physics or nuclear engineering! They think that makes them experts in molecular biology, epidemiology, metallurgy, the economics of "safe" nuclear waste disposal, offshore wind power, terrorism, and every other field needed to understand nuclear power and its potential impact on the planet and on human life. Arguing endlessly is possible, but worse than pointless: It's negligent. As long as the pro-nuclear activists can keep the pro-DNA activists debating, "they" win because San Onofre stays open by default. And that's pre-meditated murder. San Onofre is dangerous. Multiple whistleblowers are warning us that this is so -- long-time workers at the plant, former workers, and outside experts. To have so many people -- people who ought to know -- warning us so clearly about a danger so big is terrifying -- but it can be fortuitous, too, if we take the time to listen to what they are saying. San Onofre harms people by releasing radiation into the environment. Peer-reviewed studies have shown cancer clusters around nuclear plants, as well as birth defects, heart problems, and other health effects. And yet, admittedly, a properly operating reactor only releases a tiny fraction of the lethal waste it creates each day. Unless there is a serious accident, the vast majority of the waste will remain on-site and inside its containment. But even the daily releases of an operational nuclear power plant cause measurable health effects. Needless to say, every effort is made NOT to properly measure these effects! 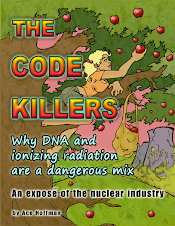 Catastrophes which could release vast quantities of deadly radiation are possible, too. Tsunamis far taller than the sea wall at San Onofre can occur at any moment. Earthquakes can too, far stronger than San Onofre's 7.0 (variously claimed to be 7.5) standard, if it would even hold up to that. Airplanes can fall out of the sky by accident, and hit the plant. It is under a major air route. Or a worker can drop a bolt, and say nothing, and later it gets stuck in a valve. Clean energy is available all around us, we just need to harness it properly. Offshore wind energy farms could be built, for instance. As little as eight miles out to sea, they are barely visible from shore. And they don't create oil spills or anything. The portion of San Onofre which is currently an electrical switchyard could continue to be used to collect and redistribute clean, green power. San Onofre employees -- those not involved in scandals -- could be employed building renewable energy systems throughout the county. We have had many moments in the past where we could have shut San Onofre down. If we had turned to renewables some time in the past, the cost of electricity in California would now be much lower than it is. The moment of change is always difficult, but in the case of San Onofre, waiting to change will be far more difficult in the long run. Every day the plant remains open, enough new deadly hazardous waste is created -- never mind yesterday's or the day before's -- to destroy Southern California for thousands of generations. Enough to cause trillions of dollars of damage, and millions of deaths. One day's waste. And no one can buy insurance against a nuclear disaster. Check your home-owners' policy, your rental policy, your business insurance policy -- check them all. Nuclear accidents are EXCLUDED. You and your family will die, and your far-away heirs will get nothing, or at most, a tiny fraction of a penny on the dollar, from a grossly inadequate general fund created by a notorious act of vile legislation known as the Price-Anderson Act. The most dangerous industry in the world is allowed to operate, for all intents and purposes, WITHOUT INSURANCE. In addition to not having proper insurance, other arcane special laws allow San Onofre to operate without real oversight. For example, Cal-OSHA has only a limited presence at San Onofre, because it's a nuclear facility regulated by the NRC. Even the federal OSHA has no real presence there, also due to "special agreements" with the NRC and/or the Department of Energy (DOE). How did the most dangerous industry on earth ALSO become the least regulated? Because of national security and enormous complexity. State officials didn't understand how the plant worked, and were happy to relinquish authority to federal regulators. Secrets about fuel composition and other matters made the federal nuclear regulators want to keep even other federal regulators out of the workplace. San Onofre's most blind and fervent supporters will always declare that nuclear power is safe. "Look at France! Look at Japan!" they'll cry, because both of those countries get most of their electricity from nuclear power, at a terrible, but hidden (to those who refuse to look), cost. "Yucca Mountain" they've been crying for nearly 20 years as if it would solve the waste problem. What a lie THAT was! But for 20 years the local media has bought it, the local politicians have bought it, and the local population, spoon-fed this lie by the media, the politicians, and the plant, have bought it as well. One lie after another has kept San Onofre open. Worker lawsuits for cancers they never thought they'd suffer haven't stopped it. Repeated allegations -- proven allegations -- of fraud haven't stopped it. Fuel fleas, radioactive kittens, maniacal ex-employees with garages full of weapons, haven't stopped it. Major components installed backwards? No, that didn't stop it, either. And, of course, even broad public opposition to the plant, which has often existed in the past as well as now, despite the government and industry's "best" efforts, hasn't stopped it. Will anything stop it, short of a meltdown? NOTE ABOUT THESE VIDEOS: I've left "ratings" open and set "comments" to "monitored." Please RATE these videos -- that will greatly improve their chance of being viewed in their entirety by others! regulations while making a canister to hold spent nuclear fuel. Busnardo and Mason are now on medical leave. safety problems without fear of retaliation. It's very rare to get ANY "mass media" attention for nuclear issues these days. A nuclear power plant is simply no place to have a culture of cover-up. And yet, I've heard these sorts of comments from MULTIPLE long-term employees who currently still work at San Onofre. THEY are scared. If we were talking about a trucking company, or a hospital, or a manufacturer of baby carriages, or a construction company, we would be pretty upset to hear from within the plant itself that there is a "culture of cover-up" at the facility. But where nuclear reactors are concerned, things must be a million times safer, because the risks are about a million times greater for society. California activists especially should send the URL of this whistleblower's testimony to our elected officials, and to other residents of our beautiful state, so we can keep it that way! Ask them to watch it, and tell them that NOW is the perfect time to shut San Onofre forever! It really is: Aside from the work ethic problems (which should be reason enough to shut San Onofre), Unit Two is currently shut down anyway, and will be for months. (Unit One was shut down in 1992 when required safety upgrades were deemed too expensive. Even now the reactor pressure vessel and almost all of Unit One's spent fuel still remain at San Onofre, because no one will take them.) Unit Three is due for a long (and expensive) maintenance outage starting next year (2010). Every day San Onofre remains operating, 500 pounds of new High Level Radioactive Waste is created, on average (250 lbs per reactor per day). Each gram could lay waste to a small city, and will remain dangerous -- and, most importantly, difficult and expensive to handle -- for hundreds of thousands of years. Virtually all of the hazardous radioactive waste "SONGS" creates each day -- what isn't spilled or leaked into the environment -- sits on our sea coast either in huge "spent fuel pools" or in even-more-dangerous "dry storage casks," which are relatively new and could have been avoided at San Onofre entirely if we had shut the facility down just a few years ago. Both the wet and dry "temporary" radioactive waste storage methods are inadequate, and threaten to destroy our way of life forever in a matter of seconds, from an earthquake, tsunami, act of terrorism, or other tragedy. Don't ever believe the lying scoundrels from the plant, or from government, who say those containments are safe! They are not! Since we can't shut the plant down yesterday, which would have been better, today will have to do, since tomorrow may be too late. The blackouts when three of California's four nuclear power plants were inoperable in the early part of the century were a hoax. We ALL know that now. We can live just fine without San Onofre as a dangerous and unstable electricity source; a dangerous and unstable neighbor. In fact, we can live BETTER, since renewables wouldn't have to compete with artificially-low-priced nuclear power. Every nuclear power plant has a "culture of cover-up," as well as numerous other subcultures, power struggles, and political wranglings going on. From giving colorful glossy books to local schools, expressing how "clean and green" nuclear power is, to sending smooth-talking lobbyists to talk to Congressional aides and elected officials (after paving the way with cash donations, often to ALL candidates in various amounts), to being permitted by the Nuclear Regulatory Commission to say nothing about any release that is "below regulatory concern" and very little, if anything, about those that are above that nebulous tipping point -- the nuclear power plant's operators hide every possible mistake that occurs, and every potential problem that is created for the future. Why worry about the waste? We'll send it to Yucca Mountain, they've been saying for decades. And now what do they say? We'll reprocess it, they say. Well, that's dirty, too, and would require an additional 100-billion or 200-billion dollars! Really, it will just sit here, dangerously, in ever-increasing amounts. Continuing to make even more radioactive waste is foolhardy. The entire nuclear industry is based on lies piled on lies: On circular, pointless, and long-winded arguments, on statistical quagmires, on faulty assumptions, on corporate and government secrecy, and on the false hope that really, a little radiation IS always good for you, no matter what your age, no matter what the form of the radiation, no matter how much additional radiation you'll get in your lifetime, and no matter how much "a little" really is (this "theory" is known as "Hormesis"). The scientific and technological world has progressed beyond the craziness of the nuclear industry: Most doctors have learned to avoid unnecessary x-rays, and modern medical procedures almost always expose people to far LESS radiation than, say, 20 years ago. And renewable energy alternatives abound and await public acceptance, such as Atmospheric Vortex Engines. But because society isn't paying close attention (and the topic is so complex), the 104 operating nuclear power plants in America just keep getting older and older and older. And when faced with closure, increased coal use is threatened as the only alternative. Leaving the plants operating makes a serious accident in America virtually inevitable. We've come close many times. Davis-Besse in 2002 was one recent event -- which went nearly unnoticed by the public. But numerous other events have also occurred. And Three Mile Island's partial meltdown in 1979 could have been a whole lot worse, but in many ways, America was very lucky that day. After a large accident, surely THEN they will ALL be shut down. But that will be too late. The poisons will have been spread, the death tolls begun, the cancers programmed to occur in our bodies some time in the future. A smart America won't wait for that. But are we a smart America? The author develops educational software for colleges and universities. He has studied nuclear issues since the 1970s. It's hard to believe the Nuclear Regulatory Commission has an "expectation that any NRC-regulated organization will establish and maintain a positive safety culture" but apparently they do (see below). And, as always, they think they know what they're doing about everything, and want to be in full control of everything at every nuclear facility. So in the midst of all the fraudulent record-keeping, worker safety violations, lies, and whistleblower accusations at San Onofre and other nuclear power plants, the NRC acts like it knows perfectly well how to achieve a "positive safety culture," and is ready to codify it's capabilities into written policy! Comments are due February 4, 2010.
the attention warranted by their significance." culture among the organizations it regulates. How can the NRC better involve stakeholders in addressing safety culture? SoCal, we have a problem. The Nuclear Regulatory Commission held a hearing about San Onofre Nuclear Generating Station (aka "SONGS") last Thursday (November 5th, 2009). At the hearing, Southern California Edison tried to convince the regulators that SCE's "culture of cover-up" had been fixed. They talked about dropping the incident rates down, but they couldn't tell us why, and it could just represent MORE cover-ups and MORE shoddy work. The SCE executives barely mentioned firing the incompetents from Bechtel and replacing them with the scoundrels from The Shaw Group, which occurred in August of this year (2009). After around 40 years, they think the way to fix the problem is fire about 70% of the work force... Over the past few years, executives have resigned in droves, lest they be fired, too. The spokesliar for the plant for more than a decade, Ray Golden, head of the local businessman's association too at the time, was suddenly gone. At the November 5th hearing, San Onofre's owners had to try to convince the Nuclear Regulatory Commission that by firing Bechtel, who operated the plant from DAY ONE, and instead bringing in a collection of foreign and out-of-state workers from an international company renowned for shady deals and shady customers, they would somehow fix their ongoing "culture of cover-up." Of course, it's not working. One advantage: According to one whistleblower I spoke to, The Shaw Group supposedly has "real" engineers, whereas Bechtel had "a lot of people who they called engineers, but they didn't have a degree in anything." But at least Bechtel's employees knew the plant. In fact, they knew everything so well, they (along with their sub-contractors and sub-sub-contractors) knew how to get away with falsifying records and reports, and doing shoddy work, for years and years! The Nuclear Regulatory Commission believes in as much self-regulation as possible. There is less than one on-site NRC inspector for every thousand workers at the plant. So a lot of things are never inspected. When fire inspection records are found to be falsified, for instance, it never occurs to the NRC that it's THEIR fault for not looking at the records even once in five years. The Shaw Group is a conglomerate of old nuclear companies, such as Stone and Webster. That division alone paid over $6 million this year in fines to the U.S. government for (alleged) "false claims and contract fraud" for repeatedly hiding injury reports -- a problem which has plagued San Onofre, too. These are the "good" guys who have been brought in because Bechtel had to be kicked out to show that SOMETHING was being done to fix the "culture of cover-up" at SONGS! But the culture remained, and remains to this day. At last week's hearing, when the public was allowed to speak, one of the plant workers got up first. He was allowed to hold the microphone (a privilege not extended to those who had come to speak out against the plant). A privilege they probably wish they hadn't given HIM! The plant employee confirmed everything I had heard several months ago myself. But unlike the whistleblowers I talked to in private, this gentleman spoke out from his own personal experience in front of the NRC, in front of the heads of SCE, in front of other employees, and in front of the public. It was an astounding moment to witness and I was fortunate enough to have my HD camera handy to catch it, although I had forgotten my tripod, as you'll see... Several other people spoke, mostly in opposition to the continued operation of the plant. There was no clapping all night long -- hardly surprising: There wasn't much for anyone to clap about. We are not talking about making cars poorly on an assembly line, or even fighter jets. The scandal we are talking about here controls the fate not of a hundreds, or even thousands, but potentially the health and well-being of tens of millions of Americans. All it takes is dropping a bolt and not saying anything to destroy the lives of all those people, all those families, as this whistleblower so eloquently describes. Please tell your friends to watch this video, and tell your elected officials to watch it as well. This is a rare moment in history, for someone to step up like this and say, "WE HAVE A PROBLEM." Even if the plant were to be shut down permanently tomorrow, this man's problem would still need to be solved at the plant. The nuclear waste storage facility SONGS would immediately become (which is what it is now -- it just has the reactors too) would need good people to constantly monitor it and improve it, or at least, make do with the limited funds they would be given to try to secure it. But that, of course, is not what the speaker wants to do. Electricity has to come from somewhere, he knows, and he still believes that the right crew can ALWAYS prevent San Onofre from melting down. But forces, beyond even the best people's ability to control, can come into play in an instant at San Onofre, so, despite knowing that people like this work there, I still say, without hesitation: "SHUT IT DOWN!" But the NRC says we are protesting to the wrong room -- that they are ONLY in charge of "safety" and so are not responsible for simply giving up. And the California state and local agencies who SHOULD be demanding San Onofre be shut down? They (Coastal Commission, Energy Commission, Public Utilities Commission, etc. -- this author has appeared before these and many others...) each insist that their mandate is only to mitigate the environmental effects of a properly-running nuclear power plant, which they see as minor, since, for example, tritium is assumed to be about 100 times or maybe even 1,000 times less hazardous than it really is, especially for fetuses. For a California state regulatory agency to assume a nuclear power plant might melt down would be considered a safety issue -- and the NRC regulates that, by virtue of an agreement between the federal government and the state of California which has been interpreted time and again as a way of preventing any state agency from regulating ANYTHING of any significance regarding nuclear power, and absolves those people in those agencies from even having to UNDERSTAND how the darned thing works, let alone, how it kills people in the community on a day-to-day basis, and let alone, what might happen if there is a massive accidental release of radiation from the plant. These arcane "agreements" have even been interpreted to prevent Cal-OSHA from effectively regulating nuclear power plants within our state borders, while similar "agreements" with the federal OSHA have prevented THEM from regulating it, as well! So the NRC, understaffed, is also expected to be the expert in everything! So if we were in the wrong room, I'm not sure what the right room would be. This suicide pact -- to keep San Onofre running until it melts down -- seems to be unstoppable. Please tell ANY media you know to watch this shocking video. NO OTHER CAMERA WAS IN THE ROOM that I could see. So when -- it is hard to say "if" after you've heard what this man has to say -- San Onofre melts down, this will be the only documentation of why. The Democrats will blame Osama, and the Republicans will blame Obama, but it will just be some guy who dropped a bolt in the reactor and didn't tell anyone. the whistle on the problems ended up getting fired." "A painter who was fired after complaining about a potential safety threat at a nuclear power plant in north Alabama won his whistleblower lawsuit against a Tennessee Valley Authority contractor... A Department of Labor review board sided with James Speegle of Tuscumbia five years after he was dismissed by Stone & Webster Construction Inc. while working at the Browns Ferry Nuclear Plant near Athens. Speegle, 43, contended he was fired for raising concerns about possible safety problems at the plant's Unit 1 reactor in 2004. Unqualified workers were doing a sloppy job that could have resulted in paint clogging an important cooling system, he argued." "Based on 56 interviews and six focus groups (consisting of approximately 50 people) conducted during this inspection, observations of plant activities, and reviews of the corrective action and nuclear safety concerns programs, the team determined that site personnel were willing to raise safety issues and document them in the corrective action program. The team observed that workers at the site felt free to report problems to their management, and were willing to use the Nuclear Safety Concerns program. " That assessment was completely inaccurate at the time it was written. under control (if it ever has been). "Who's in charge at SONGS?" My conclusion: the beast is. and they (SONGS et al) are really smart. at the curious performance playing out on stage. is the best show in town. If you're into scary movies. most dangerous flame aka nuke rods on the barbie. we're in the wrong room. lies in the hands of legislators. So I agree with both Ace and NRC's spokesman. Yes, SONGS should be shut down now and forever. And yes, we're protesting - to the wrong room. Neither of which is a new feeling. Today, the Nuclear Regulatory Commission is having a hearing in Dana Point, California (see below) regarding the San Onofre Nuclear Generating Station (aka "SONGS"). At the hearing, Southern California Edison is going to claim that they are doing everything necessary to fix the "culture of cover-up" that exists -- pardon me, existed -- ahem, ahem -- at the plant. But in reality, firing about 70% of the staff did not fix it, and nor has anything else. Not only does that "culture of cover-up" still exist, but actually, it is a necessary component of the operation, in the eyes of everyone who works there! Because they'll get in trouble if the media or the public find out what leaks, what cracks, what drops, what bursts, what spills, who gets contaminated, or by how much. Especially when it's YOU getting contaminated -- they don't want to tell you that. And nor do the so-called "regulators." And it's all based on even more uneconomical and unsound lies! So how can you NOT have a "culture of cover-up" when the whole operation is based on lies? San Onofre is a terrific danger to everyone on the planet and to Southern California especially, for no reason: Renewable energy is "chomping at the bit" and so is Murphy. We have a law in California which prohibits new nuclear power plants until a solution to the problem of nuclear waste is found. But since nuclear waste destroys any container you put it in, and is so concentrated and so dangerous that millionths of a gram is a lethal dose, proper solutions defy the laws of physics, averages, and economics. Indeed, they defy reality. The way California's law was written, no one has been able to get around it. No new nuclear power plants have been built in California since San Onofre and Diablo Canyon have come online, and if either of the reactor units at either of these facilities close, that unit cannot legally be replaced. Therefore, Southern California Edison plans to keeps these old clunkers running for as many more decades as the so-called "regulators" will let them. A running nuclear power plant, with a federal government promise (unkept, and that's another matter) to assume responsibility for the deadly radioactive waste, is a very profitable thing. Not that there aren't a lot of expenses, but if you don't have to pay proper insurance, and you don't have to pay proper fuel disposal costs, and you don't have to pay for an accident if it does happen, well, then it's profitable. For the owners, but not for society as a whole. Attendance at this hearing is a good idea. It's your chance to tell SCE to shut that old clunker down. While they replace billions of dollars in old rusted parts, they are keeping many more old parts running. The plant is falling apart. They are doing major rebuilds when they should shut down forever instead, and open the door to renewable, clean energy. Lastly, it should be noted that other laws in California have allowed every potentially-responsible state and local agency, such as the Coastal Commission or the Energy Commission, to ABDICATE their legally-mandated responsibility to protect YOU from these nuclear power plants. These agencies -- each and every one of them -- refuse to rule on all issues relating to "safety," claiming that they are prohibited from doing so! So really, knocking on the NRC's door, futile though it may be, is probably our best hope for closing these old clunkers before they kill us all, and now is an especially-appropriate time to close San Onofre forever. The notice below is from CREED. Note the interesting job offer at the bottom that shows that SCE doesn't currently think they've solved their problems -- yet they are plowing ahead with the retrofit! This JOB BOARD ENTRY placed today, may be EDISON'S attempt for a SOLUTION to Federal Nuclear Commission's FOURTH YEAR safety report citations for repeated same SAFETY VIOLATIONS by personnel. In public presentation of their on-going efforts to change "deteriorating safety culture," management officials told of training programs, and that, "It takes a long time to change a culture." Several workmen have objected to the term "safety culture," naming it an ongoing "culture of cover-up," being discovered by the NRC in recent years. NRC may have a different solution to present in its Thursday this week public report on the safety San Onofre's 2200 employees, enlarged by 1000, there preparing the containment dome interior for replacement of steam generators. The deteriorated UNIT II is in a three month shut-down for refueling and re-building. Many of us in the evacuation radius of San Onofre are hoping that the NRC will recommend to Edison that it retain Unit II in shut-down mode, that it reject defective Mitsubishi generators, and place SO II in decommissioning process safe shut down. Posted by: mailto:Marier@bartlettinc.com?subject=3DRoadtechs.com=20 post: Corrective Action Program (CAP) Director on October 31, 2009 = at=20 12:40:48. Click=20 here to reply to this post via Email. Bartlett is currently recruiting for a CAP Director for the San = Onofre=20 Nuclear Power Station. We are seeking individuals with significant CAP and recent Recovery=20 experience to direct all aspects of client CAP Recovery effort to = include=20 activities as Chairperson of RCE teams, direct backlog reduction effort = and=20 provide consultation to client for CAP program enhancements. For more information please contact Marie Rossi @ = marier@bartlettinc.com or=20 call 800-225-0385 ext 1308. Checked by PC Tools AntiVirus (6.1.0.25 - 6.13640).